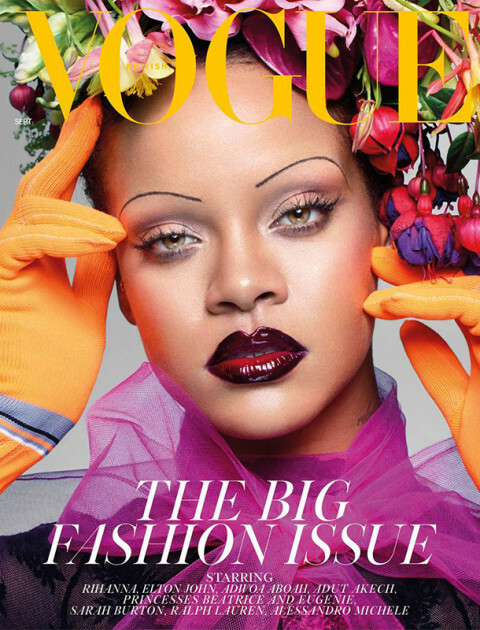 Rihanna is giving us pencil thin brown eyebrows in the new September vogue cover. Are they coming back as the new “perfect brows” or are we just being played? I guess many of you have seen the recently released September 2018 cover shooting with Rihanna for the british vogue shot by Nick Knight. The styling of this shoot is impeccable from head to toe and her make up just pure perfection. But Rihannas eyebrows attracted the most attention. 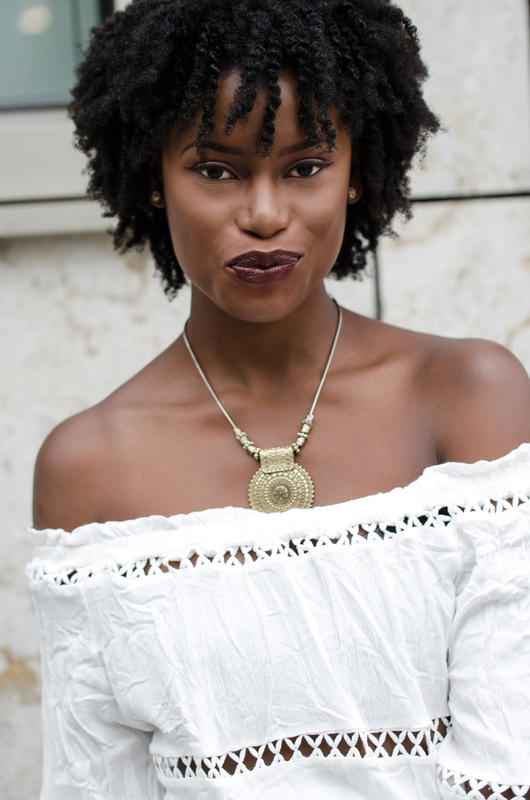 My first reaction was just being stunned because the look of these eyebrows sent me right back to the old days my african aunties would shave off their brows to draw them back on in brown or most favorite, black. in. this. exact. way. A style I never participated in since I barely had any eyebrows anyway, there was nothing to shave off, haha. The way these eyebrows have me feeling is a fine line between borderline childhood eyebrow trauma and “this looks kinda cool”. The very wonderful @badgalriri on the cover of the September issue of @britishvogue Art direction and styling by @edward_enninful . Hair by @yusefhairnyc, make-up by @isamayaffrench using @fentybeauty, floral artistry by @azumamakoto, nails by @jennynails and set design by @tomotattle. Assisting @robrusling123 and @thomasalexanderphoto . Yes, that is how deep my love is for Riri. And that my loves is a dangerous thought, so I have to say this for anyone else having that thought process: only our Rihanna can pull these off and make them look like borderline perfect brows. I mean let’s be honest to ourselves, she can do no wrong. So with that being said do not, I repeat, do not try these eyebrows at home. Stay away from the razors and the wax. Consider the consequences of your last eyebrow experiment (How’d that go huh?!). Straighten up. Keep on using that castor oil to slowly repair them and thank me later. Obviously I’m trying to motivate myself to keep my “all to experiment friendly self” at bay. Yet if you’re like me, better read this section multiple times. ‘Cause girls, we cannot go back to the pencil thin eyebrow times. Especially since I’m thinking about getting them micro bladed, but that is a whole other story. I just want to get this gorgeous glossy and kiss those lips.